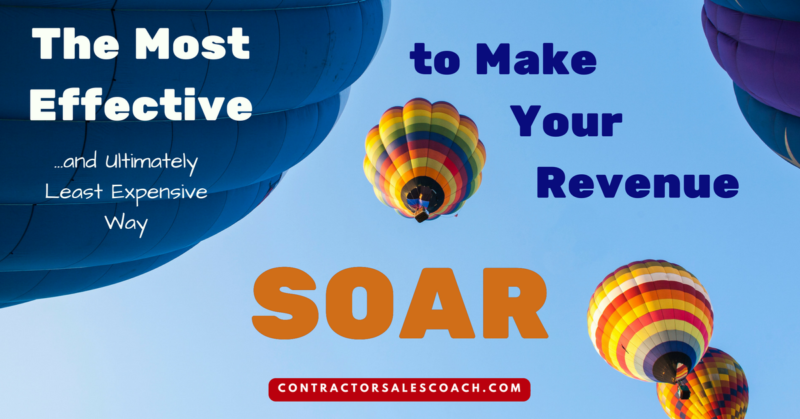 A while back, we at ContractorSelling.com did a survey of a large number of service contractors who had their people attend our Total Immersion sales training and participated in ongoing coaching afterward. The results of this survey showed an average 92% increase in total revenue with only a slight increase in actual internal costs. Internal costs (actual dollars spent) increased slightly because they were doing more business. They sold more, so they bought more to replace what they sold. But the actual percentage of costs vs profit actually dropped. An average increase in revenue means that some firms did slightly less than that while others increased much more. The bottom line is that for all these firms, sales and profits went up. 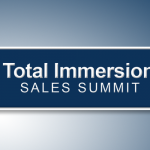 Based on our consistent results over many years with countless contractors, we feel confident in saying that Total Immersion is the best (and only) sales training program of its kind in our industry. According to Sales-Alliance.com, one of the main factors that makes sales training “stick” with people and produce long-lasting benefits is ongoing coaching. See, when your techs and salespeople try a newly learned sales skill, they’re not comfortable with it right away. It’s new, so it feels awkward at first. Maybe they try it once or twice and it doesn’t work, so they stop trying and go back to the way that they used to do it. The fact is that trainees lose 87% of the new information they learn within only 30 days after training if you don’t reinforce it consistently. That’s 13% retention. As you can imagine, that’s not going to make much of a lasting impact, is it? One of the reasons we’ve been so successful in skyrocketing the revenue of so many of our Total Immersion clients is because we provide so much “after the training” support. We have weekly calls, special webinars, and a whole laundry list of support that keeps the information fresh for your people. Because sales skills that aren’t reinforced and practiced never get mastered… and therefore don’t produce results. It’s a lot like learning a new sport. Without daily practice, coaching, and continuous improvement, you won’t see results. While it’s true that some contractors understand that sales training is crucial and have made admirable attempts to do it internally, there are some built-in obstacles to trying to pull it off yourself. Holding sales meetings, training sessions, conducting ride-alongs, and individual coaching on a consistent daily basis is a huge time commitment. And unless you have a dedicated, skilled sales training person on staff, it’s just too much for an owner or manager to pull off regularly when you consider all their other responsibilities. Over the years, a few contractors have had some success selling without sales formal training. These people learned the expensive way – trial and error. They experienced lots of failures along the way while they figured it out. They eventually found what worked for them, and had the right personality to pull it off. But when it comes to teaching others their way, they quickly learn that “their way” doesn’t work for everyone. For team-wide success and consistent results across the board, you need to have a professional sales trainer involved. Having a professional sales trainer on staff would cost you tens of thousands of dollars a year. Funds you could be using for other things in your business. And if your sales trainer doesn’t come from the contracting business, there will likely be a wide learning curve before you see maximum (or any) impact on your bottom line. That’s exactly why we created our Total Immersion sales training program. After decades of running a successful contracting business, and after years of watching far too many companies struggle with getting consistent sales results, I felt it was time to develop a system that worked well and worked for everyone who executed it as they were taught to. Since then… well, the results speak for themselves. Total Immersion has helped create hundreds of thriving businesses, and as mentioned earlier in this article – many of them have just about doubled their revenue using our system. Then I want to encourage you to click here and take a serious look at what Total Immersion can do for your company. We’re currently accepting reservations for our 2017 Total Immersion sessions. There are several dates available, so one of them is bound to work for you and your team. These sessions tend to fill up pretty quickly, so save your spot as soon as possible. And if you have any questions about the program and would like to speak to us in person, please call us today at 877-764-6304.